In the coming year, you will begin to notice how the mainstream media is changing its mind regarding the U.S. economy and the trajectory of the stock market. Instead of bashing President Trump, they will celebrate market rallies. Instead of deeming the stocks expensive, they will show “proof” that this is an extreme-value moment. Expert after expert will speak his mind, luring novice investors, Millennials, and people that are sitting on cash back in. After this recent December crash, Wealth Research Group published an in-depth letter, showing that for the past 86 years, an infallible indicator has predicted huge returns – and that indicator is flashing again. I want to show this again because it is paramount to my overall investing strategy. 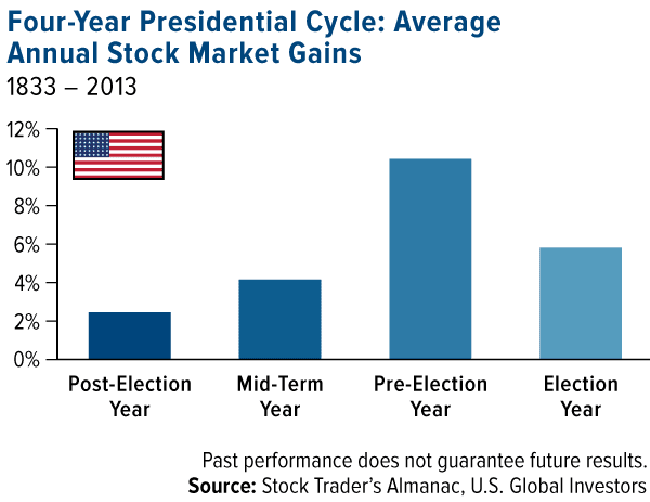 The 3rd year in office for a reigning president is the best one for stocks. This chart goes back all the way to 1833. Since the Great Depression in 1932, the numbers are even better than those above. Returns in the third year of an election cycle yield over 15% – that is insane. Here’s the thing – as it stands, due to the December mini-bear market, the S&P 500 is actually down a few percentage points since we began to measure the returns of this current year. The FED has done its part to jolt stocks. Historically, it has minded its own business leading up to a presidential election. This means that we’re not likely to see increases, nor rate cuts for a long time. If we do see them, they will be few and far between. For the most part, I anticipate very marginal monetary policy decisions. The FED doesn’t want to openly influence elections. As you can see, leading up to the 2008 meltdown and recession, we saw a huge run-up in the net worth/disposable income ratio. This was followed by a sharp change of course – the same one we’re witnessing today, so the seeds of a recession are being sowed. We’re not in a similar situation as we were in 2008, though. For the most part, that event was a self-reflecting mechanism, which taught the world about misuse of leverage and ignorance of risk. Unfortunately, not all of the lessons that were learned are being implemented today. 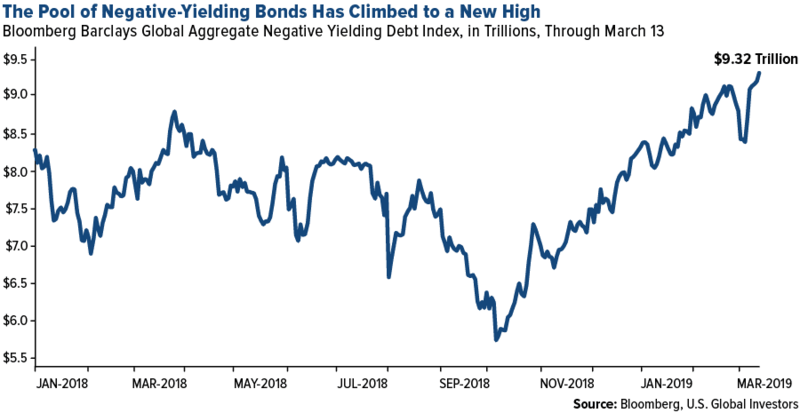 The one that we’re most alarmed by is the lack of consideration by Washington, specifically regarding the ability to keep financing $1.1T annual deficits by issuing bonds and getting the world to buy them at low rates. Foreigners have been strangled by dollar-denominated debt, but they’re not innocent bystanders themselves. Governments around the world are staying away from U.S.-originated debt, but they also issue debt of their own at artificially low rates, even negative ones. 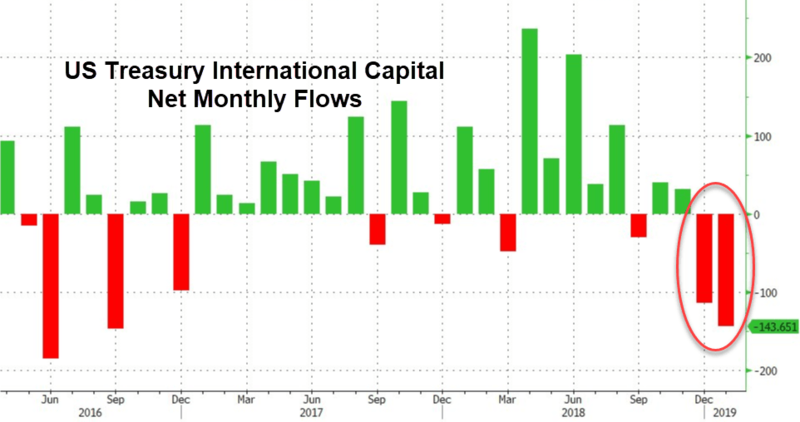 It’s a global yield Armageddon. None of this is sustainable in the long-term, but as I have said multiple times, it doesn’t mean that the markets will act as a self-correcting mechanism right away. We know the domestic jobs market is very strong. If you have skills, from basic ones to expert level, you can find employment today. It won’t be a middle-class lifestyle right away, but businesses are definitely hiring and people are not afraid to quit, in pursuit of their dream career. Job openings have increased since the lows in the summer 2009. The FED wants employment to continue to increase, since it fuels the bubble and feeds the machine. I can tell you that for the most part, most Americans are already “sold” that the recovery is now in full swing. Of course, the average person has NO CLUE that the price of this wealth effect will be a 25%-30% reduction in the purchasing power of his currency between now and 2024. A stealth tax of an additional 25% on our entire net worth makes people want to vomit, as it should. This is the punishment of currency printing, which follows the boom. This is precisely the reason that we’re hedging our savings by diversifying into inflation-beaters; assets that are ideal for times such as the ones we’re approaching. 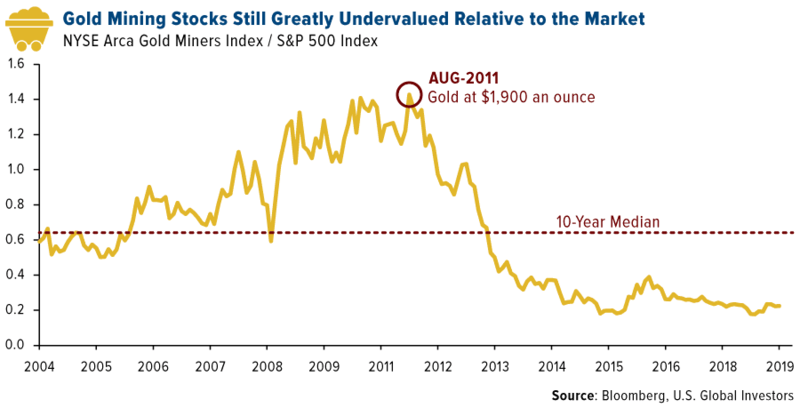 Gold stocks are CHEAP. More importantly, look at the incredible rally of 2016, which brought us our biggest winners; truly contemplate how insignificant this was in the grand scheme of things. You’re becoming a natural resources investor in one of the best times in history.